Can Plex playback 4K XAVC S files? From above information, we can see the even the Plex app on your Smart TV has the ability to direct playback 4K/UHD video, you may still fail to stream the unsupported 4K XAVC S via Plex Media Server to TV. 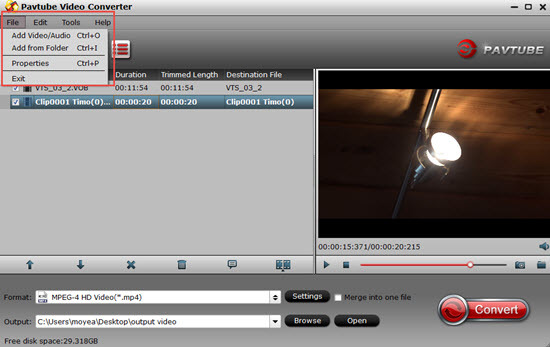 To fix this format incompatible issue, the best way is performing a file format transcoding process. Here, you can easily do the job with a simple to use application called Pavtube Video Converter (best video converter review), which can easily convert 4K XAVC S to 4K TV Plex app readable 4K H.265 MP4 format. 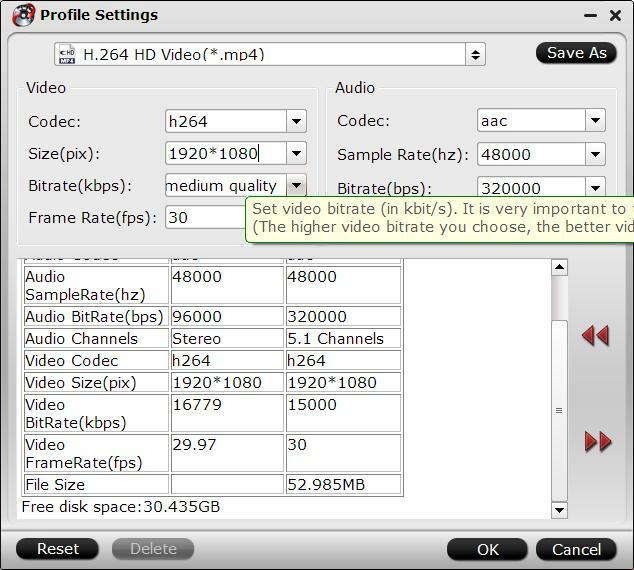 To get the compatible profile settings, you can use the program's built-in profile settings function to adjust the output video codec as H.265, audio codec as AAC or AC3, video resolution as 3840x2160, video frame rate as 30fps, etc. If the TV your own does not has the capability to playback 4K video, you can still use our program to compress 4K video to 1080p for smooth streaming via the Plex app on TV. Besides 4K XAVC S, you can also use the program to convert other incompatible file formats such as MP4, MKV, MOV, WMV, H.265, VOB, etc file formats for playing and streaming with Plex Media Server to supported devices. How to Convert and Compress 4K XAVC S for Plex Streaming to TV? Step 1. 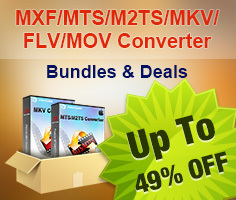 Import 4K XAVC S video files. 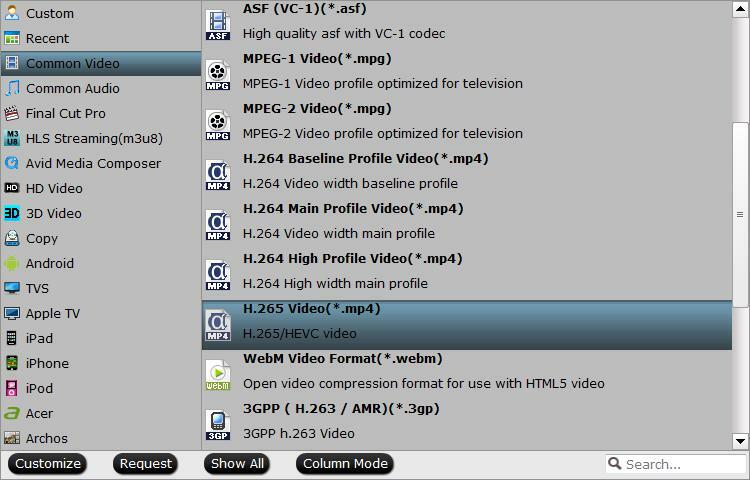 Launch the program, click "Load file(s)" or "Add video" button to load the 4K XAVC S video file you want to convert in your PC into the program. 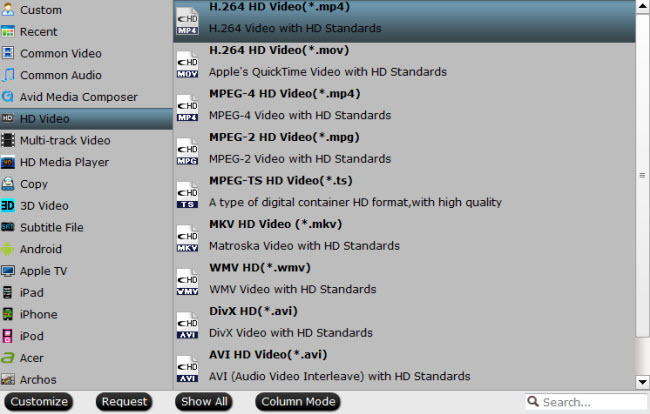 Click "Format" bar drop-down option, if the Plex app is installed on a compatible 4K TV, it is ideal for you to output "H.265 Video(*.mp4)" under "Common Video" main category. If the Plex app is installing on a non 4K capable TV, it is ideal for you to choose "H.264 HD Video(*.mp4)" under "Common Video" main category. To smoothly play 4K video via Plex app on non 4K capable TV, it is ideal for you to compress 4K to 1080p for smooth streaming and playback. Go back to the main interface, click right-bottom "Convert" button to start 4K XAVC/XAVC S to Plex Media Server most compatible format conversion and compressing process. When the conversion is done, click "Open Output Folder" button to pop out the folder with converted files, then add converted files to plex for playing with the Plex app on compatible 4K TV or non 4K TV.